Warm ups are an important part of dog agility. Not only does a proper warm up aid in injury prevention, it prepares the body for activity by exciting the nervous system. When the body is warm, muscles are loose and the nervous system is sharp, we move with greater ease, quicker reaction times and with more fluidity. A Functional Warm Up is an active warm up with a sport specific purpose. 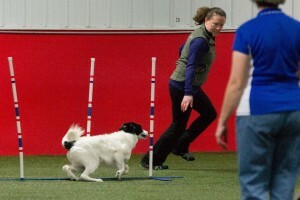 Ideally, as an agility handler, you would prepare both your dog and yourself thoroughly for each and every run. “Ideally”, you would have 10-15 minutes to do so and perfectly time the end of your warm up by walking right up to the start line. 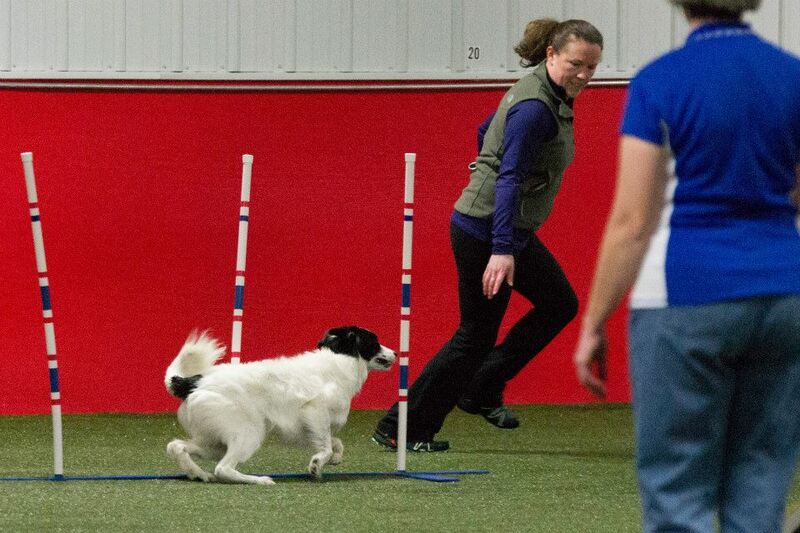 If you have taken my Functional Fitness for Agility Handlers class or Bobbie Lyons’s K9 Conditioning class you likely have a well rounded warm up routine and you have already noticed a difference in your performance! But how do you manage when you are short on time or you miscalculate the timing of your run? When you hear “five minutes to first dog” and YOUR dog is the first dog…what will you do? Instead of skipping the warm up altogether, try this 6-minute Quick Functional Warm Up for Agility Handlers. Likely you will already have the first 1 minute done before you even get your dog out! Here is video of me demonstrating as well as a handy timer to help cue you through the warm up. If you need to use this warm up at a trial, you really don’t have time to be getting out your mobile device to view the demo or timer! I suggest you practice it a few times in training so you can execute from memory when you are in a time crunch.